Amid the escalating trade war, tariffs between China and the United States have led to uncertainties in China's export market and overall economic growth. Both domestic and external demand have been decreasing and therefore slow down China's economic growth. Furthermore, loosening monetary policy rises the supply of the yuan which may cause a further deprecation of the yuan. By contrast, in the U.S., economic growth remains on the upswing, along with investment spending by businesses and industrial output. Hundreds of billions of overseas dollars are brought back to the United Sates. These provide a solid fundamental for the U.S. economy. China’s yuan have been falling against the US dollar since the trade war kicked off. It also recorded the biggest monthly fall since 1994 in June. The depreciation of yuan is making it more difficult for Chinese companies to service their mountain of offshore debt. 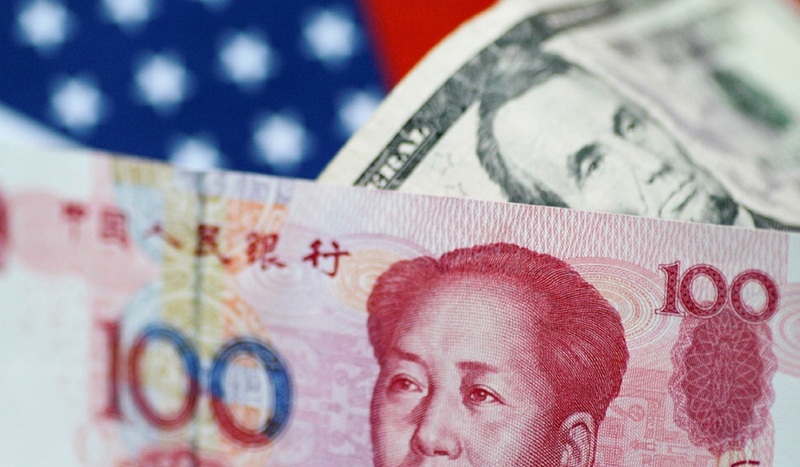 However, Yuan is anticipated to gain support around 6.7 – 6.8 level. Also, data from the Shanghai Connect and the Shenzhen Connect show that there is a capital inflow gradually taking place. Companies with good financial result still attract capital trying to buy the dips. The market is likely to shift the focus back to company's fundamental in the upcoming result season. Unless there is any further news about the trade war, Hang Seng Index is expected to consolidate between 28000 to 29000 points.